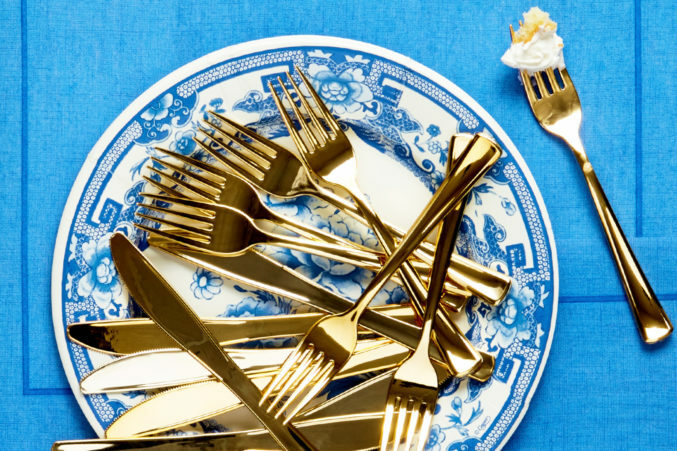 Plus, tips for creating a dinner party-ready table. You’ll no doubt spot a chef or professional party planner when you walk the aisles at ACE Mart Restaurant Supply. The warehouse-style store offers up major deals on tabletop essentials like gold flatware ($3.95 for a set of 25! ), as well as bamboo plates, disposable trays, and a full range of plastic drinkware (flutes, martini glasses—even coffee cups). You can stock up on cooking supplies, too. Score everything from baking utensils and chafing dishes to concession-style food accessories. Debby Jewesson of Branching Out Events shares how to make DIY arrangements with easy-to-find materials. Choose Hearty Foliage. “In some cases, I strategically purchase fresh flowers or foliage that will dry beautifully. Here I used a vintage piece of Marshall Pottery filled with dried eucalyptus,” she says. Find inspiration in your garden. Jewesson says to never underestimate the value of decorating with fresh produce. 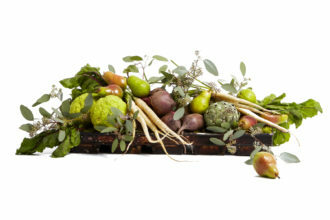 “To create a stunning farm-to-table centerpiece, grab a few unique varieties. Style them on a linear tray or serving platter in mounds and clusters, varying the heights of your display for a more casual design. For a bonus, add found treasures from the great outdoors such as acorns, pods, horse apples, or berried foliage,” she says. Chef Justo Blanco of The Statler keeps wax and a custom seal in his work bag. “I have used it to add a special touch to a note for my wife and on a handwritten menu for a private dinner,” he says. 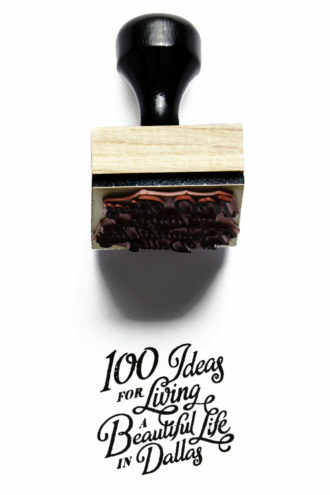 Get one made at Acme Rubber Stamp Co., a Deep Ellum company that specializes in making rubber stamps (like the one they made for us), daters, seals, and self-inking stamps to add that personal touch to your paper.